Vietnam Law Insight | Vietnam Business Law blog by LNT & Partners. During the past eleven years, Decree 23/2007/ND-CP dated 12 February 2007 (“Decree 23”) has been found to be a barrier to the trading activities of foreign investors in the Vietnam market, especially in the retail industry. Recently, the Vietnamese government has decided to replace Decree 23 with Decree 09/2018/ND-CP dated 15 January 2018 (“Decree 09”) which has brought significant changes, specifically eliminating a number of restrictions previously contained in Decree 23. Nevertheless, Decree 09’s scope of application has been extended to some other business sectors. Unlike under Decree 23, where the scope of application was amorphous because the authorities had ample opportunity to use their own discretion in its application (any foreign invested enterprise (“FIE”) regardless of foreign owned capital ratio or investment structure would have to comply), Decree 09 has provided clear instructions on the subject of application, including: (i) legal entities with direct investment from foreign investors, regardless of capital ratio; (ii) entities having at least 51% of their charter capital owned by other FIEs in which foreign investors directly holds 51% or more of its charter capital, or a partnership that has a majority of partners who are foreign individuals. Once the scope of application is defined, entities that want to be involved in the following trading activities would have to obtain a Business License, also known as Trading License for: (i) retail sale of goods; (ii) import and wholesale of lubricant products (oils and greases); (iii) logistics services, excluding those for which Vietnam has committed to open the market in international treaties (of which Vietnam is a member); (iv) goods leasing activities, excluding finance leasing and leasing construction equipment with operator; (v) trade promotion activities, excluding advertising; (vi) commercial intermediary activities; (vii) e-commerce services; and (viii) services for arranging tenders/bids for goods and services. It appears that Decree 09 has extended the scope of application to other business sectors which were not previously governed under Decree 23, such as: goods leasing activities, e-commerce services and services for arranging tenders/bids for goods and services. Providers of the mentioned services are now required to obtain a Trading License, which requires approval from the Ministry of Industry and Trade (MOIT). This new requirement may affect the operations of many e-commerce platform services which are currently operating in Vietnam. Despite the fact that the scope of Decree 09’s application has been extended to additional sectors, Decree 09 is welcomed for the removal of the requirement for a Trading License for the export, import, and wholesale distribution of many types of goods. In particular, only FIEs involved in the trading of lubricant products (i.e., oils and greases) are required to obtain a Trading License for import and wholesale. As a result, beginning on January 15, 2018, FIEs are only required to add “import, export and wholesale distribution” functions to their IRCs and ERCs in order to conduct such business. Trading Licenses will not be required for FIEs as they were before for the same trading activities. However, FIEs of the same but wish to carry out retail distribution will have to follow the same license requirements under Decree 23. FIEs involved in wholesale distribution have taken the removal of such requirements as excellent news. There is no longer a waiting period for a Trading License before shipping different products and no more HS Code on items to be imported, with many more opportunities in the future. Each and every FIE who wishes to open any retail outlet, even the first one, have to obtain a Trading License and Retail Outlet License. The economic needs test (ENT) required under Decree 23 is still applied for the second outlets and those after (Additional Retail Outlet) which: (i) have areas from 500 square meters; or (ii) are established outside shopping malls; or (iii) are categorized as minimarts or convenience store. This means investors in those cases will need to pass the ENT and obtain a Trading License and appropriate Retail Outlet License for each outlet to be established inside Vietnam. Decree 09 provides clearly that any outlet established under the same name or same trademark with another retail outlet in Vietnam owned by any other FIEs shall be treated as an Additional Retail Outlet and need Retail Outlet License for operation. As a result, the franchising model which is currently used by some giant retail chains or chain stores might have to pass ENT to obtain relevant Retail Outlet License. The People’s Committee at the province level would be the authority that would consider whether an outlet passes an ENT or not. This means that for such outlets, the establishment application must be approved by the People’s Committee at the province level and the MOIT. Another interesting point under Decree 09, which is critical to all importers, is the new template for Trading Licenses and Retail Outlet Licenses. According to the new template and guidance provided under the Decree 09, HS Code might not be included in the Licenses while previously it was clearly required in the template of the same. It means that the names of the trading products will be listed in the Licenses while the HS Code of the products might be no longer referred to in the Licenses. During the past eleven years since the enactment of Decree 23, the HS Code has been an important factor slowing down the investment process due to the complexity caused by these codes (e.g., discrepancy in HS codes referred to for imported items between IRC, Trading License and documents prepared for customs clearance, lengthy codes in the IRCs of FIEs, different import duties to be applied, and many other issues). However, its removal at the beginning stage of the new Decree may also cause difficulties for FIEs because Customs and other authorities might challenge FIEs on their trading rights. Listing the names of the goods might not be as convenient and accurate as using the HS Code. Even the DOIT has not reached consensus as to how to name the goods in the Trading License. The interpretation of it, unfortunately, is subject to the sole discretion of the DOIT, especially the officer in charge. As a consequence, this can cause inaccuracies. Take the example of a FIE that trades facial brushes. These brushes belong to HS Code 9603, which is described as “Brooms, brushes (including brushes constituting parts of machines, appliances or vehicles), hand-operated mechanical floor sweepers, not motorised, mops and feather dusters; prepared knots and tufts for broom or brush making; paint pads and rollers; squeegees (other than roller squeegees)”. If the officer in charge does not understand the business of the FIE, he/she might put the name of the goods as “brooms” instead of “brushes”. However, because the FIE sells brushes, not brooms, another relevant authority may challenge the FIE for not having the proper Trading License. The FIE might then have to apply to amend its Trading License to be in line with its actual business. Therefore, at present, FIEs should be careful and clearly describe their goods when applying for Trading Licenses. More detailed guidance from the relevant authorities is essential to avoid problems regarding this advanced and evolving regulation. In conclusion, Decree 09 does provide a better legal framework to resolve the ambiguous procedures for foreign investors and FIEs pertaining to trading and trade-related activities under Decree 23. However, as this Decree has just been issued, there might be challenges for both FIEs and licensing authorities to fully understand and implement in practice. Under Decree 23, Trading Licenses provide a list of products under their HS Code which are allowed to be imported into Vietnam for wholesale or retail distribution. If the entities wish to add new products to the list, the Trading License needs to be updated and the MoIT’s approval is required. Business transfer as a structuring tool — when, how and what to note. When investing in a business in Vietnam, an investor may prefer to cherry-pick a specific part of the business rather than buying the entire company. In such cases, an asset acquisition may be the best choice — however, in special situations where a share transaction is more appropriate, the transaction needs to be structured as a share acquisition and accordingly a “business transfer” needs to be used. A business transfer usually covers the transfer of the targeted business to a newly incorporated company (NewCo), so that NewCo will be transferred to the buyer. The transfer generally includes assets, employees, licences and on-going contracts. Typically, a business transfer can be conducted via two steps. Although there can be some variations, the whole transaction can generally be illustrated as seen in the chart. Why and when should investors use business transfer for their investment? By purpose, business transfer helps the buyer to cherry-pick only the asset they wish to acquire. Meanwhile, by nature, business transfer is a means to conduct the contemplated transaction by way of a share acquisition. The hybrid nature of business transfer brings all the pros and cons of an asset deal and a share deal, which makes it a useful structuring tool when a deal needs to take advantage of both asset deal and share deal structures. it isn’t justifiable for the purchase price to structure the deal purely as an asset acquisition deal, meanwhile a share acquisition deal can help make the purchase price justifiable. Generally, a transaction by way of business transfer is often more complicated than a purely asset deal or purely share deal. However, when the above listed items become relevant concerns, business transfer may be a preferred solution. Knowing how to use business transfer is therefore necessary. The first point to consider is the transferability of each asset comprising the targeted business. Under Vietnamese law, the transferability of some assets can be conditional or subject to permission or consent by the government or by a third party. For example, land use rights may be restricted from transferring; some licences are granted to a legal entity on the ground of some conditions which may not be met by Newco; some contracts are transferable only upon consent by third party. Transferability, depending on the particular asset, could be decisive when considering whether to use business transfer. The second point to consider is whether or not the operation of the business to be transferred can be maintained uninterrupted. Transferring an on-going business can be like trying to dismantle and re-assemble the parts of a running engine. In this regard, transfer of existing contracts should be handled carefully. The third point to consider is the time to be spent for conducting a business transfer. Depending on the specific business component to be transferred, the business transfer process could take a long time to complete. Typically, business transfer of the targeted licences or the like can be very time-consuming and may mean that the business transfer structure is undesirable. The fourth point to consider is the possibility and arrangements for the potential buyer to control the business being transferred, so that any liabilities newly incurred are monitored and subject to being approved or otherwise controlled by the potential buyer. This control is very important in many aspects, especially to ensure that the objects being transferred comprise only those that are targeted, and any liabilities incurred during the time when the business transfer is conducted are accepted by the potential buyer. The last key point to consider is the tax perspective. For example, if the company with the targeted business is incurring substantial losses that could be deducted by the buyer, or it currently enjoys a special tax incentive that is no longer obtainable by a company newly incorporated like NewCo, it could become undesirable to use business transfer. Further, tax arising from the acquisition transaction could be a concern as well. That is, in case the company owned by the seller’s sole business is the one to be transferred; accordingly, after the business is transferred, the transferring company will be liquidated. In this case, the seller may be subject to both corporate gains tax (on the purchase price) and individual gains tax (to the shareholder, if the shareholder is an individual), and may find business transfer undesirable. When it turns out that a business transfer is to be used, the DD should focus on only the targeted business, which is to be reflected in a checklist. Accordingly, the existing company’s liabilities which shall not be the subject of the business transferred can be excluded from the DD scope. In conducting the DD, the transferability — legal and practical — of each item of the targeted business should be verified. When transferability of an item in the targeted business is conditional, eg subject to another party’s consent, obtainment of such consent should be raised for possible solution. When re-issuance of some licences for continuing the targeted business require NewCo to meet some conditions, it should be confirmed that NewCo can meet the respective conditions. The parties need to agree on how to implement the business transfer. The buyer needs to have the business transfer conducted so that all the targeted business is transferred properly. In case any desired assets are not transferred, that has to be taken into account, eg for possible price adjustment. Any liabilities incurred to NewCo should be monitored and controlled by the buyer. With the investigation results from the DD, transactional documents will be prepared. These may include memoranda of understanding (MOU), master agreement, shareholders’ agreements and other agreements to implement the business transfer and to realise the contemplated transaction. In an acquisition transaction that involves the use of business transfer, a master agreement should be deployed. The master agreement sets out the terms to conduct the deal, and especially the business transfer — by using many affiliate agreements. Examples of these affiliate agreements include real estate transfer agreement, intellectual property transfer agreement, assignment agreements for each on-going commercial contract and employment contracts such as termination minutes, and new employment agreements. The status and performance of the business to be acquired should be detailed. A list of assets, detailing tangible and intangible ones, commercial contracts, liabilities, employees, etc, with detailed status should be annexed to the purchase agreement. Agreement on how the business transfer should be conducted should be set out. As mentioned, a deal using business transfer involves establishment of NewCo, transferring the targeted business from the selling company to NewCo. Accordingly, the method of transfer, the transfer procedures, the record of acquired assets to the NewCo’s accounting system need to be anticipated and agreed beforehand by the parties. The buyer’s right to manage, monitor and check the status of business transfer should be set out. Frequently, the business keeps running during the transfer process and the acquisition. New inventories may be acquired, and new sale contracts and purchase contracts may be concluded. These events may affect receivables and payables of the targeted business. Transactional documents should provide appropriate mechanism to deal with those scenarios. The agreement may set certain rules applicable to the seller in operating NewCo, for example, (i) list of action requiring the buyer’s consent (eg change of NewCo’s charter capital, business lines, loan obtainment, change of management structure, etc); (ii) list of transactions to which NewCo being a contracting parties require the buyer’s consent (which can base on criteria of value or nature of transactions); (iii) agreement between the seller and the buyer so that persons appointed by the buyer will hold some managerial position in NewCo even before the closing. As to purchase price, the transactional document should include a mechanism to evaluate the targeted business at the closing, with the applicable accounting standard rules to apply. And, similar to any M&A deal, the transactional documents should record detailed arrangements on how the buyer can take over the business, including conducting necessary registration procedure, appointment of key managerial positions, decision-making rules, etc. Asset transfer: In Vietnam, some types of assets require ownership registration, such as real estate, ships, vehicles, etc. When dealing with transferring these types of assets, it should be clear who is responsible for the registration. Commercial contracts: Transfer of existing contracts to NewCo requires the consent of the contract counterparty. Negotiating a new agreement may result in the loss of attractive terms. For supply contracts and customer contracts: there can be two options, signing new ones or having contracts assigned. In any case, the parties should agree on which obligation to be transferred, how to deal with payables and receivables, and whether NewCo or the buyer shall absorb such rights and obligations. For lease agreement, deposit should be a concern. In practice, the lessor normally does not want to return the deposit. Therefore, the transferor and the transferee to the lease must agree on how to deal with such amount, eg whether this amount should be added to the purchase price. Employment transfer: Basically, for conducting employment transfer, the selling company shall reach agreement with the employees to terminate the employment relationship, and at the same time, NewCo shall enter into new employment contracts with the employees. A note from practice is the termination agreement should include all severance payment amounts payable to the employees. Also, the selling company should have a good filing system to keep all relevant documents recording the fulfilment of its relevant obligations, including confirmation of employees on receiving the payment, no claims declaration. Sublicences: Except for certain sublicences attached to assets and being confirmed transferable, NewCo/the seller needs to reobtain all required sublicences before starting running the business. In Vietnam practice, obtaining sublicences can be very time-consuming. This should be taken into account to avoid the situation where the company has to open without the required licences. In summary, business transfer can help buyers to cherry-pick desirable assets, avoid liabilities and, when needed, make the purchase price justifiable. Offering all the advantages of both asset deal and share deal structures, a transaction by way of business transfer is often more complicated than a purely asset deal or purely share deal. When business transfer has to be deployed to get a deal through, nevertheless, the deal should be conducted with care, including utilisation of the dos and don’ts for a hybrid of share deal and asset deal, in an on-going business. According to Decree No. 54/2017/ND-CP (the “New Decree”) guiding Pharmaceutical Law 2016 which took effect 1 July 2017, foreign pharmaceutical investors are allowed to import and sell drugs to local partners in Vietnam. This new regulation creates an excellent opportunity for foreign investors interested in Vietnam’s pharmaceutical market. However, this restriction was removed when Pharmaceutical Law 2016 was issued and took effect on 1 January 2017 because the New Decree guiding this law specifies the importation right is now expanded to foreign invested enterprises (“FIEs”). Article 33.1(b) of Pharmaceutical Law 2016 states a drug business establishment can import drugs if it has the following: a physical premises; a GSP warehouse for drug storage; storage equipment; vehicles to transport drugs; quality control systems; technical documents; and personnel that fulfill Good Storage Practice requirements. Article 44.1(d) of Pharmaceutical Law 2016 and Article 91.10 of the New Decree provide that FIEs will have the right to import and sell drugs to local partners for distribution. Article 91.12 also states that FIEs that want to import and sell drugs to LPs must register their LPs with the Ministry of Health (“MOH”) before they begin selling, as well as when they terminate their contracts with the LPs. The MOH will publish the list of LPs eligible to purchase imported products from FIEs on the MOH’s website within three working days. All of this bodes well for Vietnam’s pharmaceutical sector. Vietnam’s pharmaceutical sector has shown high growth rates over the last few years. For instance, the value of imported pharmaceutical products in the first nine months of 2016 reached USD 1.9 billion, up 16.44% from the same period in 2015. FIEs are responsible for an estimated 15% of domestic pharmacy production. These figures prove that Vietnam’s pharmaceutical business has potential market space for FIEs to take advantage of. With the passing of new laws in a dynamic country of nearly 90 million citizens, Vietnam promises to be a fertile pharmaceutical market for FIEs’ investment. 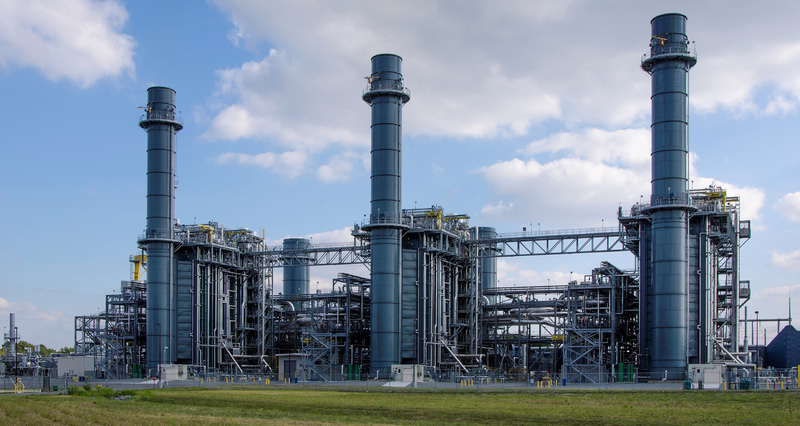 The development of the power sector, while prioritizing the production of renewable energy sources, forms a crucial part of Vietnam’s National Power Development Plan. On the 11th of April 2017, the Vietnamese Prime Minister, by issuing Decision 11/2017/QD-TTg on the mechanism for encouraging the development of solar energy in Vietnam (“Decision 11”), formalized some of these objectives. Unlike other alternatives to fossil fuels, solar power is a type of renewable energy that is encouraged by the Government. The development of alternative sources of energy first began with the National Master Plan for Power Development in 2011 when the Prime Minister issued Decision 1208/QD-TTg. With the implementation of Decision 11, solar energy has gradually become a priority among power sources. Decision 11 provides regulations for solar power projects, including rooftop projects and grid-connected projects. Rooftop projects are solar power projects that have their solar panels mounted on the rooftop or integrated into the construction of a building. Rooftop projects are connected directly to the buyer’s power grid. Grid-connected projects are those solar power projects, other than rooftop projects, connected to either the national power grid or the buyer’s power grid. 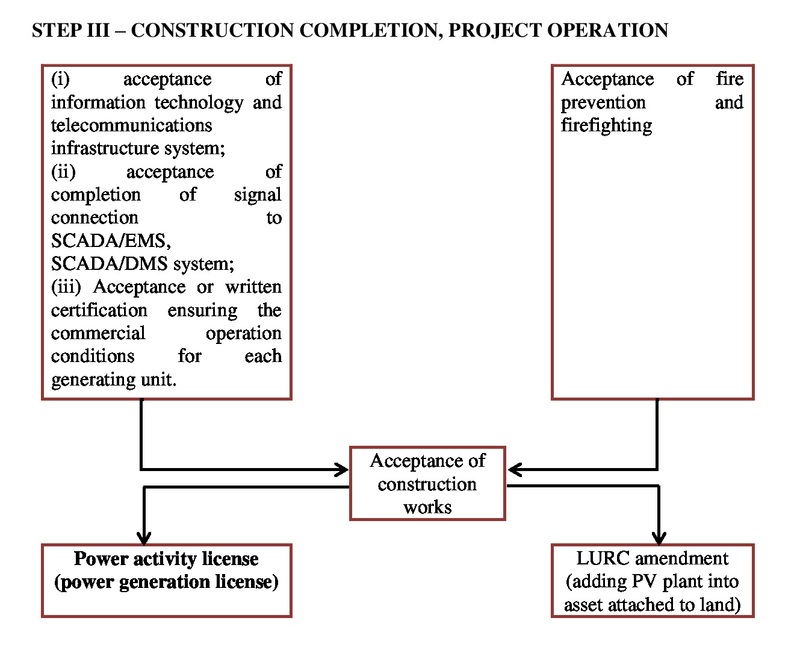 Under Decision 11, only grid-connected projects must conform to the National Development Plan for Solar Power or to the Provincial Development Plan for Solar Power. The Ministry of Industry and Trade (the “MOIT”) develops the National Development Plan, and the Prime Minister approves it. On the other hand, the provincial-level People’s Committee establishes the Provincial Solar Power Development Plan, and the MOIT approves it. 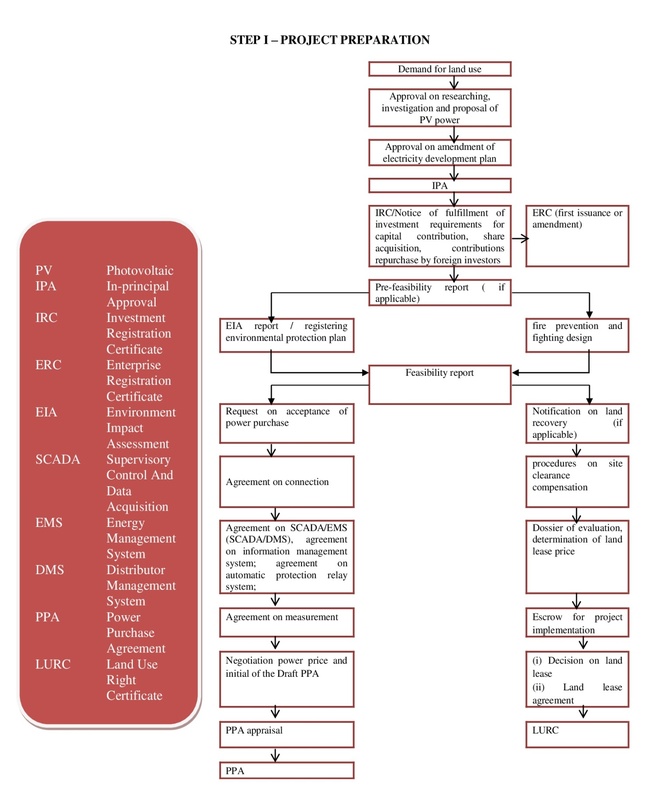 This is one of the first steps to prepare and implement a Solar Power project. The detailed procedure is described in a flowchart presented at the end of this article. Decision 11 provides an important incentive to encourage the development of solar power projects. Decision 11 mandates that Vietnam Electricity (EVN) and its authorized subsidiaries must buy all the electricity produced by every Vietnamese solar power project. Furthermore, Decision 11 also puts forth some important provisions regarding the price of electricity. Decision 11 fixes the purchasing price at US$ 00.0935/kWh, equivalent to VND 2.086/kWh for grid-connected projects. This price was set according to the exchange rate between VND and USD announced by the State Bank of Vietnam on the 10th of April 2017. The MOIT will determine the price to sell electricity for each power purchase agreement based on the present exchange rate. With respect to rooftop projects, projects must be implemented using net-metering with two-way electricity meters. In a trading cycle, if the amount of electricity generated from rooftop projects is greater than the consumed amount, the surplus will be carried forward to the next trading cycle. Every year, the MOIT will announce prices for electricity produced by rooftop solar power for the following year based on the exchange rate on the last day of the year. According to Decision 2256/QD-BCT (dated 12 March 2015) of the MOIT, EVN’s average electricity selling price was US$ 00.0714/kWh, equivalent to VND 1.622/kWh. Therefore, the price provided by Decision 11 is significantly higher. In addition, Decision 11 also states that the MOIT will provide a template for power purchasing agreements. Those agreements will be limited to twenty years, but could be extended. Decision 11 also encourages the development of solar power projects by providing attractive incentives. Those incentives are related to: capital mobilization; import duties; the corporate income tax (“CIT”); and land acquisition and rent. However, most of these incentives are too general and should be clarified. This lack of clarity can be seen when examining each incentive individually. First, regarding capital mobilization, Decision 11 merely states that organizations and individuals involved in the development of solar power projects may raise domestic and foreign capital to carry out solar power projects in accordance with effective law. Second, regarding import duties, Decision 11 provides that with respect to goods imported as fixed assets, solar power projects are exempted from import duties. Besides that, with respect to other materials, components, and semi-finished products that cannot be manufactured domestically, the import duty incentives for solar power projects must be determined in accordance with the present provisions in the Law on Import and Export Duties. Third, regarding CIT, Decision 11 provides that the CIT exemptions and reductions granted to solar power projects shall be the same as those granted to projects eligible for investment incentives in accordance with effective regulations. Fourth, regarding land incentives, grid-connected solar power projects, transmission lines, and substations shall be eligible for exemptions from, or reductions on, land levies, land rents, and water surface rents. Those exemptions or reductions shall be in accordance with current regulations on investment incentives. Depending on plans approved by the competent authorities, the People’s Committees of the provinces shall facilitate land arrangements for investors to execute solar power projects. Provision of compensation and site clearance shall be carried out in accordance with effective land regulations. Therefore, because most of Decision 11’s incentives refer to other laws and specific incentives are not mentioned, the above-mentioned solar power project incentives remain unclear. In addition, Decision 11 produces a conflict in the use of terms used by previous laws and regulations dealing with investment incentives. In fact, while Decision 2068/QD-TTg approving the development strategy of renewable energy stated that renewable energy includes solar energy, and Decree 118/2015/ND-CP on Guidelines for some articles of the Law on Investment (“Decree 118”) classifies solar power projects as a business line eligible for special investment incentives (rather than a business line eligible for investment incentives), Decision 11 considers solar energy projects as a business line eligible only for investment incentives. Thus, Decision 11 may limit the chances for solar energy projects to benefit from the incentives applied to business lines eligible for special investment incentives. For example, under Decree 118, if the solar power project is treated as a business line eligible for investment incentives, the investor is entitled to only a 25% reduction of the security deposit required for project implementation. However, if the solar power project is treated as a business line eligible for special investment incentives, the investor may be entitled to a 50% reduction of the security deposit required for project implementation. The MOIT has drafted a circular related to the development of solar power projects. However, the draft circular does not clarify the incentives, including investment incentives. Decision 11 is an innovative move by the Vietnamese Government to help it meet its international obligations under the 2015 United Nations Climate Change Conference. Vietnam’s issuance of this decision demonstrates Vietnam’s intention to develop its economy without compromising environmental protection. However, while Decision 11 is a big step in the right direction, some of its important provisions, especially regarding investment incentives, need to be further clarified (or even modified) in order to remove any sources of confusion or disincentives. Otherwise, Decision 11 might only be a symbolic gesture without real effect. New NPL resolutions will facilitate distressed assets transactions in Vietnam – opportunities to foreign investors? Following the issuance of Civil Code 2015, banking regulations have been amended substantially in early 2017. Among these amendments, two are crucially important for bringing about improved conditions for credit institutions and their clients: 1) Circular No. 39/2016/TT-NHNN, which provides new regulations for lending transactions of credit institutions and/or foreign bank branches with clients (“Circular 39”); and 2) Resolution No. 42/2017/QH14 on Pilot treatment of bad debts of credit institutions (“Resolution 42”). These new regulations, together with the Civil Code 2015, will affect the practice of credit activities and can hopefully address existing issues. Circular 39’s enactment was a response to the criticism that Decision No. 1627/2001/QD-NHNN on the Regulations on lending by credit institutions to clients (“Decision 1627”) was outdated (it had been in effect for fifteen years). Circular 39’s amendments are discussed below. Prior to Circular 39, Decision 1627 recognized numerous individuals and groups as customers that had the legal capacity to borrow capital from credit institutions. Those individuals and groups included: both Vietnamese and foreign organizations and individuals; households; private enterprises; cooperative groups; partnerships; as well as other organizations. However, on the basis of the Civil Code 2015, Circular 39 now only recognizes borrowers as legal entities established and/or operated within the territory of Vietnam, Vietnamese individuals, and foreign nationals1. Accordingly, households, cooperative groups, and other non-juridical subjects are no longer eligible to borrow from banks. Instead, individuals, who are the owners of private enterprise and households, have the right to borrow money from the bank for their businesses’ capital needs. Before the enactment of Circular 39, there were eight different legal instruments that simultaneously governed credit activities, creating difficulties for credit applications. Circular 39 has corrected this problem by prescribing the hierarchy of legal applications in credit activities2. Specifically, credit activities must comply with the Law on Credit Institutions, Circular 39, and other relevant legislation. If particular documents of the Vietnamese Government, the Prime Minister, and the State Bank of Vietnam prescribe the application of Circular 39 or contents relating to lending operations that are not prescribed in particular documents, Circular 39 still applies. However, if the Government, Prime Minister, and the State Bank of Vietnam issue documents for specific lending operations, those documents will prevail. This provision clears up the issue of ambiguity in previous instruments. Taking into account Articles 466 and 468 of the Civil Code 2015, as well as the Law on Credit institutions 2010, Circular 39 provides that credit institutions and their clients shall agree on loan interest rates based on several factors. One factor is supply and demand in the capital market. Another factor is the demand for loans. The third factor is the creditworthiness of clients. One exception to this rule for interest rates is the application of a maximum interest rate for short-term loans for five priority sectors, which the State Banks’s Governor will decide from time to time3. However, the ceiling interest rate regulation is only applied to short-term VND loans for priority fields. Regarding the interest rate charged on overdue paid interest, customers will pay late payment interest over the outstanding balance of late payment interest at the interest rate agreed to by the credit institution and customer (which cannot exceed 10% per annum). Where a debt has become delinquent, the client must pay interest on the outstanding amount of principal which is overdue. In that case, the interest rate cannot exceed 150% of the interest rate originally charged before the debt became delinquent. Circular 39 makes efforts to include three additional types of loans that credit institutions recommended. These three loans are for crop season intervals, revolving loans, and rollover loans4. Circular 39 is the second legal document after Decree No. 55/2015/ND-CP to recognize loans for crop season intervals, thereby demonstrating the Government’s determination to encourage investment in rural and agricultural development. Revolving loans and rollover loans are common in other markets, and have been utilized frequently by foreign bank branches in Vietnam to satisfy the demand of enterprises with relatively low capital turnover for working capital. Since Circular 39’s enactment, the inclusions have been welcomed as they not only reflect actual credit practices, but also provide legal certainty for credit institutions and their clients. With respect to the security of the loan, the Civil Code introduced two new measures of security for performance of civil obligations: title retention and a lien on property5. The 2005 Civil Code already recognized these measures, but not as means of security. A lien on property is a security measure established by the law, under which the obligee in possession of assets, which are the subject of a bilateral contract, is entitled to retain the assets if the obligor fails to perform its obligations6. Title retention is a security measure established through written agreements. In a sales contract, it allows the seller to retain ownership of property until the buyer pays the purchase price in full7. More importantly, title retention is not only effective between the contracting parties, but also against third parties. The new approach of the 2015 Civil Code better reflects the nature of these measures in accordance with international practice, and offers greater flexibility when choosing measures of security. Circular 39 also imposes other rules for credit activities. For example, the calculation of the loan term has been modified. Previously, it started on the date on which the client began to receive the loan funds. It ended on the date on which the principal and interest were repaid in full as agreed in the credit contract between the credit institution and the client. Now, under Circular 39, the term begins on the day following the day when a credit institution begins to disburse the borrowed funds to a client. It ends on the day when the client has to repay the principal and interest amounts in full as agreed. If a loan term is not a full day, the provision enshrined in the Civil Code on the date of commencement of a term is applied8. With regard to fees, Circular 39 maintains most of the fee regulations related to lending activities. However, it adds a fee paid for a commitment to withdraw the borrowed funds9. This fee is in line with international practice, and allows credit institutions to avoid situations where the client refuses to withdraw the funds provided by the credit institutions under the loan agreement. Resolution 42 is expected to create legal certainty and resolve the inadequacies of the former regulations regarding the process of handling bad debts. Some notable components of Resolution 42 are the inclusion of a new method for handling bad debts and new approaches for dealing with collateral composed of land use rights, as well as assets attached to land, land formed in the future, and real estate projects. The fact that Civil Code 2015 does not mention the seizing of collateral raised concerns for credit institutions, before Resolution 42 was released, that the drafters intentionally abandoned this method for handling collateral. However, Resolution 42 clarified Article 7, and creates the right to seize the borrowers’ collateral with detailed provisions10. Resolution 42 lists several conditions for seizing collateral, specifically: (i) a case occurs that brings it under the scope of handling collateral under Article 299 of the Civil Code; (ii) the security agreement clearly indicates the right to seize the collateral; (iii) the transaction has been registered; (iv) the collateral is not in dispute; and (v) information regarding seizing assets has been published for at least 15 days (for real estate assets)11. There are problems, however. First, the mortgagor can prevent the mortgagee’s seizure of collateral. The mortgagor can accomplish that simply by engaging in actions which put the collateral in dispute within fifteen days of the publication of information regarding the seizure. Another problem under this rule is that only credit institutions, organizations, and companies that trade and handle bad debts are allowed to seize the collateral, while others (such as debt collection services) receive no such authorization, and only to the extent that the seizure does not violate legal prohibitions12. Resolution 42 gives certain rights regarding mortgages to buyers of debts that originated from credit institutions’ bad debts. For those bad debts with the secured assets of land use rights, assets attached to land, or assets attached to land formed in the future, the buyers now have the right to register and receive the mortgages on those assets as the security property of the debt purchased13. Additionally, Resolution 42 allows credit institutions, foreign bank branches, and organizations that trade and handle bad debts, to transfer the bad debts’ collateral if they are comprised of real estate projects. 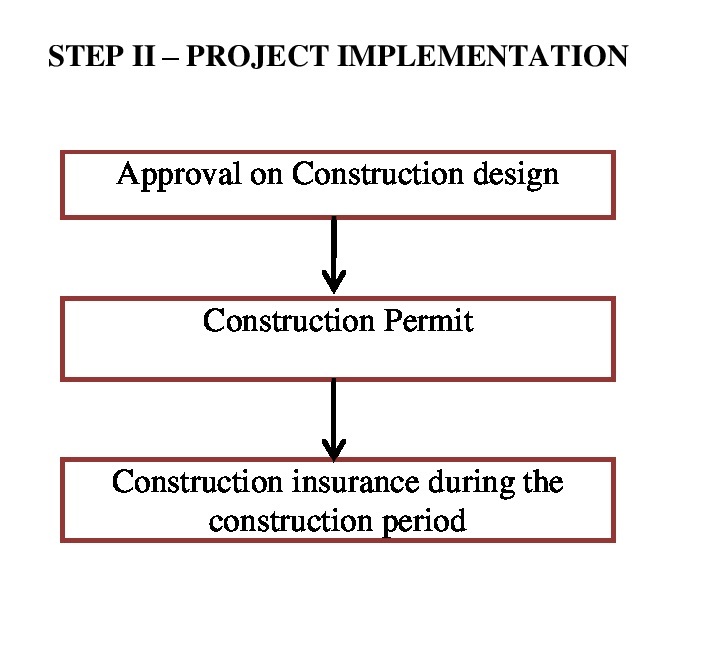 The following conditions, however, must be met: (i) the project must have been approved by the competent authority; (ii) there is a decision on land allocation and land leasing from the competent authority; (iii) the project must not be in a dispute; and (iv) the project is not being seized to ensure the enforcement of judgments or to execute administrative decisions14. These amendments have been long-awaited by credit institutions and debt dealers alike. Creating the right to seize collateral will help enhance the handling process for collateral. In addition, Resolution 42 will bring promising changes in regulating and finalizing the legal framework for handling bad debts in general. Circular 39 took effect on the 15th of March 2017, while Resolution 42 goes into effect on the 15th of August 2017 and lasts for five years. While both go into effect this year, it may take some time to see the impact of these improvements in practice. 3Article 13.1, 13.2 Circular 39. 5Article 292 Civil Code 2015. 6Article 346 Civil Code 2015. 7Article 331 Civil Code 2015. 11Article 7.2, 7.3, 7.4 Resolution 42. Real estate projects generally demand a large amount of capital from investors, especially for housing projects. The majority of housing projects are implemented in urban areas, where land use taxes and site clearance expenses are extremely high. Thus, financing is considered the most important factor in the development and operation of real estate projects. In Vietnam, there are two mechanisms to finance real estate projects: mortgages and the sale of off-the-plan houses to customers. However, both options pose risks that investors, banks, and buyers are rightfully concerned about, especially in a country where the regulating legal system is not well-developed. Those risks became very real during the financial crisis earlier this decade, followed by the freezing of the real estate market. That freezing could be attributed to the dysfunction in the legal system for financing real estate projects. The laws and regulations have since been upgraded to eliminate that Achilles’s heel, but the implementation of such provisions is still proving challenging. A housing construction project can be wholly or partly mortgaged if the following documents are provided: the approved project’s documents and technical designs, and the certificates or decisions on land assignment and land leases from authorities. An investor can also mortgage off-the-plan residences in his/her project if the foundations of the residences have been completed and have not been previously mortgaged by the investor. Depending on their capital requirements, investors can choose the most appropriate option to finance their projects. Investors do not necessarily need a Certificate of land use rights and ownership of houses and other land-attached assets (the “Certificate”) to mortgage their investment projects. Nevertheless, this is where potential risks appear. The laws and regulations do not provide any mechanism for banks to protect their rights in case the State recovers the land from the investors. Pursuant to the Land Law 2014, the competent authority may seize the land if the land user fails to fulfill its financial obligations with the State. If that occurs, even if the banks take the secured assets to make up for the loan, there is not much to take because the land, which is the most crucial asset to a housing project, was already seized by the Government. The investor can also mortgage off-the-plan residences in his or her project. Circular 26 requires the mortgagor of the future acquired properties to register the mortgage at the competent authority (land registration offices and their branches). However, in order to register the mortgage, the dossier must include a Certificate. Therefore, the investor must complete all the financial obligations regarding the land. That includes paying site clearance expenses, as well as making rent payments and paying registration fees. After meeting those obligations, the investor is able to mortgage the off-the-plan residences for a loan. Recently, some provincial Departments of Natural Resources and Environment have published lists of mortgaged real estate projects registered in their localities. These actions are motivated by The Harmony residence’s incident, where nearly 600 people are at risk of losing their apartments, because the investor has mortgaged all the land and the future acquired assets on land since 2012. In 2016, only after the bank announced its intention to seize the residence for recovery of the investor’s loan, was the truth revealed to the residents. Currently, in order to protect the consumers, lists of mortgaged projects are being announced by the authorities. Only projects which have been granted Certificates may register their mortgages, which led to the announcement of mortgaged projects. However, from the perspective of the investors affected, the announcement of their mortgaged projects could adversely impact potential sales because the projects have to be free of the mortgages (or parts of the mortgage) before selling any off-the-plan residences. There are two disadvantages for investors if they choose to mortgage off-the-plan residences. The first one is that they need to obtain a Certificate, which means they have already spent a large amount of money for site clearance and land rental. The second disadvantage is the public announcement of mortgaged projects, which could make customers hesitant to purchase units. Based on these factors, investors tend to choose the first mechanism (mortgaging the housing project or a part of the project for a loan). In fact, only 10% of projects in large cities such as Hanoi or Ho Chi Minh City are registered for mortgages at the authority. For example, in Ho Chi Minh City in 2016, only seventy-seven of 600 projects had their mortgages registered. The majority of housing projects must be de facto financed from banks’ loans with secured properties. Therefore, the remaining projects are likely to have mortgages over their construction projects, but not over land use rights, or future acquired assets on land. Accordingly, the investors were not required to register the secured transactions. The banks will only issue guarantees if the investors have assets with sufficient value to secure their obligations. The investors that already spent millions of dollars on construction may not be able to meet those requirements. Due to the above obstacles, there are those who would rather violate the laws and run away with the consumers’ money when the project is not feasible anymore. In the end, the consumers are the ones who suffer. 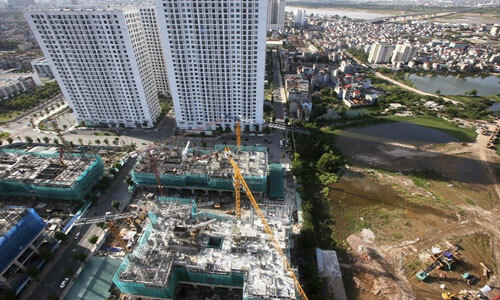 Real estate project finance is a complex legal field that needs to be more fully developed, even though Vietnamese legislators and executive bodies have already made great efforts to do so. Sometimes, the law benefits investors, but creates great risks for banks and customers. And sometimes the exact opposite is true. Finally, some legal requirements appear impossible to meet, creating pressure to meet them through inappropriate responses, such as violating the law. The Government has recently issued Decree No. 35/2017/NĐ-CP dated 3 April 2017 providing regulations on collection of land use fee, rental of land surface and water surface in economic zones and hi-tech parks (Decree 35). The percentage for calculating land rent unit price in case of annual payment shall be from 0.5% to 3% subject to specific area or route corresponding to the investment and publicly announced annually. The land rental is determined with land price adjustment coefficients. Subject to the specific area, route and location of the land corresponding to the land use purpose, the Provincial People’s Committee shall issue the land price adjustment coefficients annually with the minimum rate at 1.0 applicable from 1 January each year. The land use for development of social housing for employees in accordance with approved projects shall be subject to land use fee exemption. The developer must conduct the administrative procedure for the exemption in this regard. On 23 March 2017, the People’s Committee of Ho Chi Minh City has just issued Decision No. 19/2017/QD-UBND providing the land price correction coefficient applied in 2017 in Ho Chi Minh City (Decision 19). The outstanding application for determining the land use fee or land rental in Ho Chi Minh City from 1 January 2017 shall be subject to the regulations of Decision 19. The coefficients are applied for determining (i) the annual land rental for the first period; (ii) the adjustment to unit price of annual land rental for the following period and (iii) the unit price for annual land rental in case of acquiring the assets attached to land shall be from 1.0 to 2.0. In which, the land used for development of residential housing for leasing shall be subject to the maximum coefficient of 2.0 corresponding to the location of the project. The coefficients applied for determining (i) the land use fee without land use right auction or in case of conversion of land use purpose, (ii) the one-off payment of land rental without land use right auction and (iii) the unit price of land rental in case of changing from leasing with annual rental to leasing with one-off payment for land rental shall be from 1.2 to 2.0 subject to the location of the project. The land price adjustment coefficients mentioned above can be higher subject to the location with more than two (02) road fronts and the land use ratio. “Condotel” and “Officetel” have been new types of real estate development in Ho Chi Minh City since 2008. 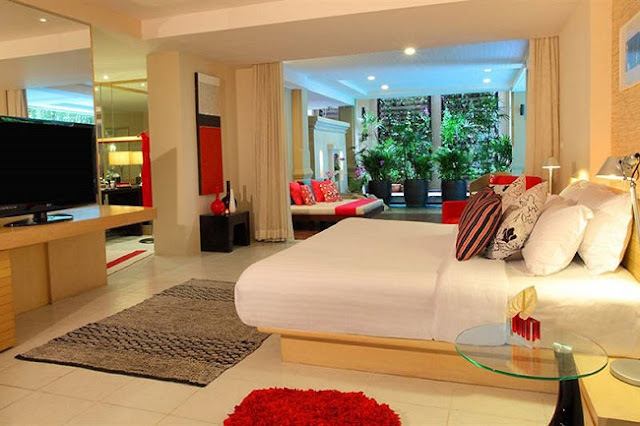 In recent years, these kinds of real estate developments become more popular in the real estate market, particularly condotel type is more applied in coastal and tourist cities like Nha Trang, Da Nang, or Vung Tau. However, despite its popularity and more transactions on the properties, regulations or guidance from the competent authorities on the investment and management of the condotel and officetel are still unclear and confusing, and therefore potentially risky to the buyers as well. For example, the concept of “officetel” describes apartments in residential buildings which may be used for both residential and office purpose. However, the Law on Residential Housing as well as guidance from the Ministry of Construction prohibits using residential apartments for office use. Furthermore, the guidance from the Ministry of Planning and Investment does not allow using residential apartments for business registration either. Another legal issue to these kinds of properties is how to properly recognize the ownership to the properties because, in the Land Law, land use right duration for commercial purpose is 50 years and indefinite term for residential purpose. Recently, the Ministry of Construction has given instructions and responses that (i) the regulations on condominiums are applied for the condotel/officetel with function as residential housing and (ii) the regulations on hotel are applied for the condotel/officetel without function as residential housing. This is actually confusing to the owners as well. Therefore, the Ministry of Construction (MoC) recently had Dispatch No.381/BXD-QLN dated 28 April 2017 for report and proposal of the issues in relation to the management of condotel, officetel, or resort projects to the competent Deputy Prime Minister for decision. In which, MoC proposed (i) the amendment to law on land with respect to the classification and the usage of mixed use land (for both residential and commercial purposes) and issuance of the certificate of land use right, ownership of residential housing and other assets attached to land in this regard and (ii) clarification of the financial obligation for such mixed use land and (iii) the regulations on the management of the condotel and officetel. The issuance of regulations in respect of condotel and officetel mentioned above will provide detailed legal framework for the development and management of condotel and officetel projects. Accordingly, (i) the investors will have firm legal basis for development and management of condotel and offictel and (ii) the buyers will have basis for considering their investment in the business model of condotel and officetel. Besides the officetel and office which become popular in real estate market, “hometel” is a new concept of tourism real estate just launched in the beginning of 2017. Hometel is the combination of “home” and “hotel” function. Similar to condotel, hometel is fitted out and operated with the luxury standards as hotel under the management of a hotel operator. However, hometel has some features different from condotel, typically (i) the homebuyers shall have an indefinite-term ownership of hometel with the certificate of land use right, ownership of residential housing and other assets attached to land and (ii) the homebuyers can decide the leasing program of the hometel without sharing profit with the developer, it means that the homebuyers will directly deal with the hotel operator for the operation and maintenance of standard of the hometel as hotel. From legal perspective, (i) hometel must be constructed on residential land for the indefinite-term ownership; (ii) the development of hometel project must be in accordance with Law on Residential Housing because hometel is classified as residential housing and (iii) the construction of hometel must be in accordance with regulations on construction of residential housing under Law on Construction. The management and operation of hometel is not clear to be treated as a condominium or not. As a residential housing, the hometel should be managed as a condominium with the organization of the Management Committee as required by laws. However, the hometel must be operated and maintained with hotel standard which must be managed by a hotel operator. In case the management of hometel must be in accordance with regulations on management of condominium, the Management Committee must deal with the hotel operator for ensuring the standards applied to the hometel buiding as a hotel. In addition, there should be amendments to Law on Land in relation to the classification of the land on which the hometel project located. Similar to the land used for developing condotel project, the land in this regard should be residential land without establishment of residential area. Disclaimer: This legal update does not constitute and should not be taken as a legal advice for a matter. For more information and clarification, please contact Mr. Tran Thai Binh, Partner of LNT & Partners, Head of Real Estate Practice Group via email: binh.tran@LNTpartners.com or his cell phone: 84-913629191. Trong năm 2016, không ít đợt thoái vốn nhà nước tại các doanh nghiệp bị “ế”, phải bán nhiều lần. Tình trạng “ế” cổ phần tiếp tục diễn ra trong một số phiên bán đấu giá kể từ đầu năm năm 2017 đến nay. Để cải thiện tình trạng này, Báo Đầu tư Chứng khoán giới thiệu góc nhìn của ông Ngô Thanh Hải, Công ty Luật LNT và Thành viên. Ngày 12/12/2016, Tổng công ty Đầu tư và Kinh doanh vốn nhà nước (SCIC) đã chào bán 130,6 triệu cổ phiếu VNM, tương đương 9% vốn điều lệ của Vinamilk. Kết thúc phiên bán đấu giá, SCIC bán được 78,4 triệu cổ phiếu cho Tập đoàn F&N, tương ứng khoảng 60% số lượng cổ phiếu chào bán. Về việc thoái vốn nhà nước, người viết cho rằng, cần phải được thực hiện một cách cấp bách và hiệu quả hơn vì trên thực tế, sự vững mạnh của nền kinh tế thường dựa vào khu vực kinh tế tư nhân. Ngày 12/12/2016, Tổng công ty Đầu tư và Kinh doanh vốn nhà nước (SCIC) đã chào bán 130,6 triệu cổ phiếu VNM, tương đương 9% vốn điều lệ của Vinamilk. Kết thúc phiên bán đấu giá, SCIC bán được 78,4 triệu cổ phiếu cho Tập đoàn F&N của Singapore, tương ứng khoảng 60% số lượng cổ phiếu chào bán. Về việc thoái vốn nhà nước, người viết cho rằng, cần phải được thực hiện một cách cấp bách và hiệu quả hơn vì trên thực tế, sự vững mạnh của nền kinh tế thường dựa vào khu vực kinh tế tư nhân. Có thể xem xét quá trình thoái vốn của Casino Group tại Big C Việt Nam, dù đây là thương vụ thoái vốn không liên quan đến bất kỳ vốn nhà nước nào nhưng cách thức và hiệu quả của nó rất đáng được quan tâm. Casino Group đã mở ra ba đợt đấu thầu thu hút được nhiều “gã khổng lồ” của ngành bán lẻ, đợt đầu tiên có sự tham gia của Lotte (Hàn Quốc), Aeon (Nhật Bản), Central Group, BJC (Thái Lan) và cả những tên tuổi lớn trong nước như Masan Group, Saigon Co.op… Tuy nhiên, chỉ có số ít những nhà đầu tư kể trên được tham gia vào vòng tiếp theo. Và cuối cùng, chỉ còn hai nhà đầu tư là Saigon Co.op và Central Group. Việc giữ hai đối tác có khả năng mua đến phút cuối cho phép bên bán có thể chủ động lựa chọn, xem xét năng lực của đối tác nào có đủ khả năng mua được trọn vẹn tất cả chuỗi cửa hàng bán lẻ của Big C Việt Nam với mức giá tốt nhất. Kết quả đạt được vượt trên cả mong đợi, Central Group đã mua với mức giá 1,1 tỷ USD, so với mức 880 triệu USD ban đầu mà bên bán kỳ vọng. Có thể thấy, lý do chính dẫn đến thành công trong thương vụ thoái vốn tại Big C Việt Nam là bên bán đã thu hút được sự quan tâm của nhiều nhà đầu tư cùng với cơ chế đấu thầu minh bạch, cho phép các tập đoàn lớn được tiếp cận và có thời gian để tiến hành điều tra cẩn trọng một cách chi tiết để đưa ra mức chào cạnh tranh. Trong khi đó, cách tiếp cận của bên bán trong thương vụ thoái vốn tại Vinamilk không đi theo con đường đấu thầu theo kiểu M&A (mua bán – sáp nhập), rõ ràng nhất có thể thấy là bên mua không có nhiều thời gian để thẩm định pháp lý, tài chính, hoặc kiểm tra lại kết quả thẩm định mà bên bán đã chuẩn bị. Một điều gần như chắc chắn là không có nhà đầu tư nào dám liều lĩnh mua lại phần vốn của một công ty khác mà không có thời gian để tìm hiểu, nghiên cứu kỹ về tình hình sản xuất – kinh doanh, tình trạng pháp lý và tài chính của công ty đó. Vì thế, người viết cho rằng, bí quyết thành công của thoái vốn nhà nước tại các doanh nghiệp nằm ở chỗ: chọn được đơn vị tư vấn M&A quốc tế để có thể đấu thầu một cách công khai, minh bạch, đồng thời chuẩn bị kỹ hồ sơ pháp lý trước khi chào bán; bên bán cần có thời gian để chuẩn bị thẩm định pháp lý, tài chính công ty trước và bên mua cần có thời gian để kiểm tra kết quả thẩm định của bên bán, hoặc ngược lại. Về việc “ế” hơn 52 triệu cổ phần Vinamilk trong phiên bán đấu giá ngày 12/12/2016, ông Đặng Quyết Tiến, Phó cục trưởng Cục Tài chính doanh nghiệp, Bộ Tài chính lý giải nguyên nhân là do thời gian thực hiện việc bán vốn gấp gáp, kế hoạch được duyệt tháng 9/2016, tới tháng 12/2016 đã tổ chức bán. Trong khi đó, tháng 12, nhà đầu tư nước ngoài thường thực hiện tất toán để nghỉ Tết. Ngoài ra, trước khi công bố giá khởi điểm là 144.000 đồng/cổ phiếu thì giá cổ phiếu Vinamilk trên thị trường ở mức cao, nhưng tại thời điểm tổ chức bán đấu giá lại giảm (đóng cửa phiên giao dịch ở mức 133.700 đồng/CP). Liên quan đến dự án PetroVietnam Landmark vừa bị TAND TP.HCM công bố mở thủ tục phá sản đối với chủ đầu tư là Công ty Cổ phần Bất động sản Xây lắp Dầu khí Việt Nam (PVC Land), phóng viên Báo Người Tiêu Dùng đã có cuộc trao đổi với Luật sư Trần Thái Bình, Công ty Luật LNT & Partner, để làm rõ vấn đề này. PV: Ngày 24/2, TAND TP.HCM đã ban hành Quyết định 52/201/QĐ-MTTPS mở thủ tục phá sản đối với chủ đầu tư dự án PetroVietnam Landmark. Ông đánh giá thế nào về khả năng phá sản trong trường hợp này? Theo Luật Phá sản 2014, sau khi ra quyết định mở thủ tục phá sản, thì thẩm phán sẽ chỉ định quản tài viên, tập hợp các “chủ nợ” (người có quyền đòi nợ đối với PVC Land), triệu tập cuộc họp các chủ nợ. Nếu hội nghị các chủ nợ đồng ý cho doanh nghiệp một thời gian để phục hồi hoạt động kinh doanh, nhằm cải thiện tình hình tài chính và trả nợ cho các chủ nợ, thì PVC Land có cơ hội được tiếp tục kinh doanh. Nếu sau một thời gian mà PVC Land không cải thiện tình hình, thì các chủ nợ sẽ tiếp tục thủ tục phá sản. Các tài sản còn lại của PVC Land sẽ được tòa án và quản tài viên thanh lý nhằm thanh toán cho các chủ nợ. Việc thanh toán theo thứ tự ưu tiên: Nợ tiền lương đối với người lao động, nghĩa vụ tài chính với cơ quan thuế hay Nhà nước, các khoản nợ có bảo đảm và nợ không có bảo đảm. Theo đánh giá của tôi, thì có khả năng PVC Land đang đề nghị xem xét lại quyết định mở thủ tục phá sản vì ngoài dự án này thì họ cũng đang thực hiện một số dự án khác. Ngoài ra, họ là doanh nghiệp có vốn của PetroVietnam, nên khó có thể để xảy ra việc phá sản. Rất có thể họ sẽ dàn xếp thanh toán nợ với những đương đơn phá sản để rút lại đề nghị phá sản. Về phần PVC Land, họ có thể đề nghị TAND hay VKSND xem xét kháng nghị quyết định phá sản. Một tổ thẩm phán gồm 3 người sẽ xem xét việc kháng nghị này. Tuy nhiên, nếu họ thực sự lâm vào tình cảnh mất khả năng thanh toán, thì việc đề nghị này cũng vô ích. PV: Trong trường hợp xảy ra phá sản thì tài sản là dự án PetroVietnam Landmark sẽ được xử lý như thế nào? Nếu tòa tuyên bố phá sản đối với PVC Land, hoạt động của công ty sẽ bị chấm dứt. Mọi giao dịch liên quan đến công ty bị đình chỉ. Các tài sản còn lại của công ty sẽ được thanh lý bán đấu giá để trả nợ. Khách hàng mua nhà có tên trong danh sách chủ nợ được xem là chủ nợ không có bảo đảm và sẽ được thanh toán nợ từ tiền thu được sau khi thanh lý bán đấu giá tài sản theo thứ tự phân chia như đã trình bày phía trên. Nếu giá trị tài sản không đủ để thanh toán toàn bộ số nợ thì khách hàng sẽ được thanh toán theo tỷ lệ phần trăm tương ứng với số nợ. Đối với các khách hàng mà chủ đầu tư đã bàn giao căn hộ theo hợp đồng mua bán nhà thì theo tôi quyền sở hữu của người mua nhà đối với các căn hộ này đã được thiết lập, nên khi kê biên tòa nhà hay các tài sản của PVC Land, tòa án sẽ loại các căn hộ đó ra. PV: Những khách hàng đã mua căn hộ tại dự án PetroVietnam Landmark nên làm gì để tránh thiệt hại tối đa vào lúc này? Khi tòa án thông báo quyết định mở thủ tục phá sản đối với doanh nghiệp này, những khách hàng chưa được giao căn hộ nên liên hệ với tòa án, xuất trình những chứng cứ để chứng minh quyền lợi của mình như tư cách chủ nợ của PVC Land để được đưa vào danh sách chủ nợ nhằm giải quyết quyền lợi của mình về sau. Khi đã được đưa vào danh sách chủ nợ, người mua có quyền tham gia hội nghị chủ nợ. Tại đây, người mua với tư cách là chủ nợ không có bảo đảm sẽ được thảo luận, trình bày những vấn đề cụ thể, yêu cầu giải quyết, lý do mục đích của việc yêu cầu giải quyết phá sản và ra một trong các quyết định như: Đề nghị đình chỉ giải quyết yêu cầu mở thủ tục phá sản nếu PVC Land không mất khả năng thanh toán; đề nghị áp dụng biện pháp phục hồi hoạt động kinh doanh của PVC Land và đề nghị tuyên bố phá sản. Đối với những khách hàng mua nhà không gửi giấy đòi nợ và không có tên trong danh sách chủ nợ sẽ mất quyền yêu cầu thanh toán đối với PVC Land. PV: Lời khuyên của luật sư dành cho những người mua nhà để tránh trường hợp tương tự? Nói chung, các quy định này rất chặt chẽ và bảo vệ quyền lợi cho người mua. Tuy nhiên, thực tế ở vị thế người mua cũng khó kiểm chứng các thông tin về chủ đầu tư, về dự án, hay việc chấp hành pháp luật của chủ đầu tư. Thế nên, để tránh tình trạng như PetroVietnam Landmark, các cơ quan chức năng nên tăng cường việc chấp hành pháp luật của các chủ đầu tư đối với việc bán nhà. Ngoài ra, nên có hệ thống thông tin tại cơ quan chức năng về dự án nhà ở như tình hình thế chấp, đã đủ điều kiện bán nhà không và người mua có thể tiếp cận đối với các thông tin này theo cơ chế trả phí chẳng hạn. Theo tôi, cơ quan chức năng chỉ cần thực hiện đúng theo chức năng quản lý quy định tại Luật Nhà ở hiện nay thì người mua đã có thông tin và tránh nhiều rủi ro lắm rồi. Còn nếu khách hàng mua nhà từ các dự án thực hiện trước Luật Nhà ở 2015, mà đến nay vẫn chưa được nhận nhà, thì khả năng chủ đầu tư chậm bàn giao hay có vấn đề là rất cao. Người mua nhà nên có đề nghị đến cơ quan quản lý chức năng tăng cường giám sát và kiểm tra đối với các dự án này, như vậy có thể khắc phục tình trạng chậm trễ đó. PVC Land cho hay Chi cục Thi hành án dân sự Q.2 đã có quyết định tạm dừng việc phong tỏa dự án này vì chủ đầu tư đã có động thái trả lời và chứng minh được dự án vẫn đang xây dựng. Theo đó, PVC Land có quyền sử dụng trở lại đối với 15.000 m2 đất của dự án cao ốc thương mại dịch vụ PetroVietnam Landmark bao gồm diện tích đất ở, đất công trình công cộng có kinh doanh, đất công viên cây xanh, giao thông, sân bãi, mặt nước. Với quyết định này, PVC Land có quyền đăng ký, chuyển quyền sở hữu, sử dụng hay thay đổi hiện trạng với phần tài sản như trên. We are delighted to announce that our Partners: Dr. Net Le and Ms. Quyen Hoang have continued to be named as Leading lawyers in Vietnam by Chamber & Partners for Corporate/M&A this year. Chamber & Partners has asked in-house counsels for their comments on the quality and the effect of our lawyers. The results indicate our Partners have been responsive to their clients’ needs beyond the norm. Congratulate Dr. Net le and Ms Quyen Hoang and thank you for your continual support for LNT & Partners. Phá sản có thể là một điều không ai muốn nhưng đó có thể là lối thoát tốt nhất cho các doanh nghiệp để thoát khỏi áp lực dòng tiền. Phá sản có thể là một điều không ai muốn nhưng đối với một số trường hợp, đó có thể là lối thoát tốt nhất cho các doanh nghiệp để thoát khỏi áp lực dòng tiền, cũng như mang lại cho các chủ nợ cơ hội để thu hồi được phần nào số tiền đầu tư. Một ví dụ là sự kiện bị buộc phải phá sản mới đây của Công ty Bất động sản Xây lắp Dầu khí Việt Nam, chủ đầu tư dự án PetroVietnam Landmark. Quyết định mở thủ tục phá sản đối với PVC Land của Tòa án Nhân dân TP.HCM đã tạo nên một tiền lệ chưa từng xảy ra, có thể sẽ kéo theo làn sóng phá sản, đóng cửa của nhiều doanh nghiệp địa ốc khác trên địa bàn TP.HCM trong thời gian tới. Dù đau đớn nhưng việc cho các chủ đầu tư thiếu uy tín phá sản cũng là một cơ chế thanh lọc, loại bỏ các doanh nghiệp không có năng lực thanh toán, giúp thị trường phát triển tốt hơn. Tính đến cuối năm 2016, vẫn còn đến 500 dự án bất động sản trên địa bàn TP.HCM bị đóng băng, chậm tiến độ trong đó nhiều dự án có tình cảnh thê thảm tương tự PetroVietnam Landmark như dự án Vạn Hưng Phát (quận 8), dự án Kenton Residences (quận 7), Tân Bình Apartment (Tân Bình), Vinaland Tower (Quận 7)… Vì thế các chủ đầu tư, người mua nhà ở các dự án này đang chăm chú theo dõi diễn biến phá sản của PVC Land để đưa ra quyết định cho riêng mình. PetroVietnam Landmark từng là một dự án đình đám ở khu Đông vào năm 2010. Do lượng cầu quá lớn nên chủ đầu tư đã phải tiến hành bốc thăm để lựa chọn người mua nhà. Tổng số tiền PVC Land đã thu được từ khách hàng đến cuối năm 2011 gần 500 tỉ đồng. Tính đến 30.6.2011, giá trị đầu tư của PVC Land vào dự án PetroVietnam Landmark là 315,4 tỉ đồng nhưng dự án vẫn chậm tiến độ cho đến nay. Không chỉ có người mua nhà chịu thiệt hại mà các ngân hàng cho vay vốn cũng chịu chung số phận. Ngoài việc huy động vốn từ người mua, chủ đầu tư dự án PetroVietnam Landmark còn nhận thế chấp để vay vốn của Ngân hàng Bưu Điện Liên Việt và ngân hàng này cũng đã khởi kiện ra tòa. Như vậy, tranh chấp quyền lợi một khi tài sản bị thanh lý giữa người mua nhà và ngân hàng sẽ là một trong những điểm đáng chú ý trong quá trình mở thủ tục quá sản đối với PVC Land. Theo Luật sư Trần Thái Bình, Công ty LNT & Partners, sau khi ra tòa án quyết định mở thủ tục phá sản, thẩm phán sẽ chỉ định quản tài viên, kê biên tài sản và triệu tập cuộc họp các chủ nợ. Nếu như hội nghị các chủ nợ đồng ý cho doanh nghiệp một thời gian để phục hồi hoạt động kinh doanh, nhằm cải thiện tình hình tài chính và trả nợ cho các chủ nợ thì PVC Land có cơ hội được tiếp tục kinh doanh. Trường hợp xấu hơn, nếu sau một thời gian tình hình vẫn không cải thiện, Công ty sẽ bị tuyên bố phá sản. Các tài sản còn lại của PVC Land sẽ được tòa án và quản tài viên thanh lý nhằm thanh toán cho các chủ nợ. Việc thanh toán theo thứ tự ưu tiên là chi phí phá sản, nợ tiền lương đối với người lao động, nghĩa vụ tài chính với Nhà nước, các khoản nợ có bảo đảm và nợ không có bảo đảm. Nếu giá trị tài sản không đủ để thanh toán toàn bộ số nợ, khách hàng sẽ được thanh toán theo tỉ lệ phần trăm tương ứng với số nợ. Trong trường hợp của PVC Land, những người mua nhà có thể được xếp vào những chủ nợ không có bảo đảm. “Người mua nhà mất trắng là trường hợp có thể xảy ra nếu như tài sản còn lại của PVC Land không đủ để thanh toán các khoản nợ”, luật sư Trần Thái Bình nói. Việt Nam có thể nói là một trong những thị trường kinh doanh bất động sản “dễ chịu” nhất thế giới. Bởi lẽ, các chủ đầu tư trong nước được phép huy động đến 70% vốn đầu tư từ khách hàng để phát triển dự án (tỉ lệ tối đa là 50% dành cho các dự án bất động sản của nhà đầu tư nước ngoài). Trong khi đó, tại các quốc gia khác, chủ đầu tư chỉ có thể vay vốn từ ngân hàng để hoàn thành dự án trước, sau đó mới mở bán. Các quy định “dễ chịu” đó một mặt đã hỗ trợ cho thị trường phát triển nhanh chóng, nhưng cũng dễ dẫn đến các hình thức huy động và sử dụng vốn kém minh bạch của một số chủ đầu tư. Cuối cùng, người chịu thiệt nhất vẫn là người mua nhà bởi không có điều kiện nắm rõ thông tin. Nhưng vấn đề là do yếu kém trong quá trình thực thi và giám sát từ phía các cơ quan quản lý, một số chủ đầu tư vẫn có cơ hội né tránh các quy định nhằm tiết kiệm chi phí, gia tăng lợi nhuận. “Các cơ quan chức năng chỉ cần thực hiện đúng theo chức năng quản lý quy định tại Luật Nhà ở hiện nay thì đã giúp cho người mua nhà tránh nhiều rủi ro lắm rồi”, luật sư Bình nói. Một trong những giải pháp cần làm trước tiên là Nhà nước nên trang bị hệ thống thông tin trực tuyến hoặc tại cơ quan về dự án nhà ở hoặc thông tin về chủ đầu tư như Luật Nhà ở đã quy định. Người mua có thể tiếp cận các thông tin này theo cơ chế trả phí. Về phần mình, để kiểm soát rủi ro, trước khi xuống tiền, khách hàng cần tìm hiểu kỹ tình trạng pháp lý của dự án cũng như năng lực tài chính của chủ đầu tư. Khách hàng nên chọn các chủ đầu tư lớn, có uy tín và vị thế trên thị trường để đầu tư, thậm chí trước khi mua nên yêu cầu chủ đầu tư công bố thông tin về tình trạng thế chấp và giải chấp của căn nhà để tránh những tranh chấp sau này nếu có. Thống kê của Cục Quản lý Nhà và Thị trường bất động sản cho thấy tính đến cuối năm 2016, tổng giá trị tồn kho bất động sản trên cả nước là hơn 31.800 tỉ đồng. Trong đó, lượng tồn kho của Hà Nội là 5.611 tỉ đồng, TP.HCM là 5.954 tỉ đồng. Tồn kho bất động sản đang là một trong những nguyên nhân chính khiến tỉ lệ nợ xấu ở một số ngân hàng vẫn đang ở mức rất cao. Việc phá sản của PVC Land vì thế có thể sẽ mang đến một cú hích mới cho quá trình tái cấu trúc thị trường bất động sản trong năm nay. Trong quá trình giao dịch một bất động sản, khách hàng có thể vướng phải nhiều rủi ro khác nhau. Rủi ro đó có thể đến từ chủ đầu tư, từ các quy định của hợp đồng liên quan đến vấn đề thanh toán và điều kiện của bất động sản được giao dịch. Luật sư Trần Thái Bình, Công ty Luật LNT & Partners – Đoàn luật sư TP.HCM. Để hạn chế những rủi ro có thể gặp phải khi giao dịch một bất động sản hình thành trong tương lai, PV Báo Người Tiêu Dùng có cuộc trao đổi với Luật sư Trần Thái Bình, Công ty Luật LNT & Partners – Đoàn luật sư TP.HCM. PV: Luật sư có thể đưa ra những rủi ro mà khách hàng có thể gặp phải khi giao dịch một bất động sản, đặc biệt là bất động sản hình thành trong tương lai? Thứ nhất, không đáp ứng đủ các điều kiện luật định khi thực hiện ký kết hợp đồng mua bán bất động sản hình thành trong tương lai. Ví dụ, hiện nay theo quy định của luật kinh doanh bất động sản, chủ đầu tư chỉ được phép tiến hành ký kết hợp đồng tương lai khi (i) công trình đã hoàn thành xong phần móng; (ii) dự án nhà ở đó được một ngân hàng bảo lãnh; (iii) có thông báo xác nhận của cơ quan Nhà nước có thẩm quyền về việc dự án đã đáp ứng đủ điều kiện để có thể thực hiện giao dịch mua bán tài sản hình thành trong tương lai. Tuy nhiên, nhiều chủ đầu tư vẫn tiến hành ký hợp đồng mua bán bất động sản hình thành trong tương lai khi chưa đáp ứng đầy đủ các điều kiện này. Điều này có thể dẫn đến rủi ro là hợp đồng đã ký vô hiệu nếu như có tranh chấp pháp lý. Thứ hai, rủi ro về chậm tiến độ dự án và mục đích sử dụng vốn của chủ đầu tư. Chẳng hạn, tiến độ của dự án bất động sản hình thành trong tương lai bị chậm do năng lực chủ đầu tư yếu kém hoặc do chủ đầu tư đã sử dụng số tiền mua nhà đặt trước của khách hàng sai mục đích dẫn đến việc không đủ nguồn lực tài chính để hoàn thành công trình đúng tiến độ. Mặc dù, Luật nhà ở đã quy định chủ đầu tư phải sử dụng tiền thanh toán của người mua nhà để phát triển dự án nhà ở, nhưng thực tế không có cơ chế hiệu quả để cơ quan thẩm quyền hay người mua nhà kiểm soát được việc sử dụng vốn. Thứ ba, rủi ro về chất lượng công trình khi người mua nhà nhận sản phẩm. Có thể chất lượng sản phẩm không đúng theo kỳ vọng của người mua, nhưng người mua không thể làm gì được vì phù hợp với thể hiện trong hợp đồng. PV: Khách hàng cần làm gì để hạn chế rủi ro khi mua căn hộ hình thành trong tương lai? Theo kinh nghiệm của tôi, khách hàng khi mua các căn hộ hình thành trong tương lai cần thực hiện việc kiểm tra các thông tin có liên quan, chứ không chỉ hoàn toàn căn cứ thông tin do chủ đầu tư cung cấp. Các thông tin cơ bản về cơ sở pháp lý cho phép chủ đầu tư đầu tư dự án, ví dụ như giấy chứng nhận quyền sử dụng đất của chủ đầu tư đối với khu đất dự án, xác nhận bảo lãnh của ngân hàng đối với dự án, thông báo của chủ đầu tư cho Sở Xây dựng về việc đã đáp ứng điều kiện để bán nhà. Người mua cũng nên có thói quen sử dụng dịch vụ tư vấn pháp lý để hỗ trợ khi mua nhà, nhằm hiểu rõ hơn quyền lợi của mình, cũng như bảo vệ quyền lợi của mình. PV: Nếu được đưa ra một điều luật nào đó để bảo vệ tuyệt đối người tiêu dùng và minh bạch nhất cho thị trường bất động sản. Luật sư sẽ đưa ra vấn đề gì? Theo hiểu biết của tôi, ở một số nước như Úc, Hồng Kông, hay Singapore, đối với việc bán nhà ở hình thành trong tương lai, pháp luật nơi đó quy định chủ đầu tư phải gửi tiền thanh toán của người mua nhà vào một tài khoản ký quỹ (escrowed account) và chỉ được sử dụng tiền trong tài khoản này sau khi đã giao nhà cho người mua. Lý do của việc này là để bảo vệ quyền lợi của người mua nhà, bảo đảm chủ đầu tư phải hình thành đúng tiến độ cũng như phải có đủ khả năng tài chính để phát triển dự án. Tôi nghĩ, nếu áp dụng được như vậy ở Việt Nam thì tuyệt đối có thể bảo vệ quyền lợi của người mua nhà. Còn nếu như chưa thể áp dụng được tuyệt đối như vậy thì khung pháp luật hiện nay cũng đã phần nào bảo vệ tốt quyền lợi của người mua nhà. Vấn đề là ở khâu thực hiện. Ví dụ, người mua muốn kiểm tra các thông tin thì phải kiểm tra ở đâu nếu như chủ đầu tư không cung cấp đủ? Cho nên cần có một cơ quan thẩm quyền nào đó (ví dụ Sở Xây dựng) có thể cung cấp các thông tin cơ bản của dự án nhà ở cho người mua nhà, như quyền sử dụng đất của chủ đầu tư có hợp pháp hay không, có bị thế chấp hay không, dự án có được bảo lãnh ngân hàng hay không, chủ đầu tư có đủ điều kiện để thu tiền khách hàng mua nhà chưa… Cơ quan thẩm quyền nên tạo điều kiện để người mua có thể tiếp cận dễ dàng các thông tin như vậy đối với một dự án nhà ở.
Khách hàng mua nhà tại dư án Cao ốc Xanh (Q.9) vì chủ đầu tư thiếu uy tín nên gần cả thập kỷ nay chưa nhận được nhà. Thay vì mòn mỏi chờ đợi, người dân đã dùng quyền yêu cầu phá sản doanh nghiệp (DN) bất động sản nợ tiền, chây ì giao nhà. TAND TP.HCM vừa ban hành quyết định về việc mở thủ tục phá sản đối với Công ty cổ phần Bất động sản xây lắp dầu khí VN (PVC Land) – chủ đầu tư dự án PetroVietnam Landmark. Bà Trần Thị Châu Giang (Q.3, TP.HCM) – người trực tiếp nộp đơn yêu cầu tòa án mở thủ tục phá sản đối với PVC Land – cho biết đã chờ đợi mòn mỏi, nhiều lần “đòi” tiền không được nên mới yêu cầu tòa mở thủ tục phá sản. Bà Giang mua nhà tại dự án PetroVietnam Landmark từ năm 2010 với giá hơn 2 tỉ đồng và đã đóng gần 2 tỉ. Quá hạn hai năm chủ đầu tư không bàn giao nhà, bà Giang khởi kiện. TAND TP.HCM tuyên bà thắng, buộc chủ đầu tư hoàn trả số tiền bà đóng. Tuy nhiên, công ty trả lời thẳng “còn tiền đâu mà trả”. Thời điểm đó trao đổi với Tuổi Trẻ, ông Lương Đình Thành – giám đốc PVC Land – cũng cho biết công ty không còn tiền trả. Nếu bà Giang đồng ý thỏa thuận chỉ lấy tiền gốc không tính lãi, hằng tháng công ty sẽ trích một khoản trả dần. Tới nay PVC Land mới trả cho bà Giang 300 triệu đồng. Hết cách, bà Giang mới làm đơn yêu cầu tòa án ban hành quyết định mở thủ tục phá sản đối với PVC Land. “Nếu công ty phá sản sẽ ảnh hưởng đến nhiều khách hàng, nhưng gần bảy năm nay đã quá khổ, cùng đường nên tui mới chọn giải pháp này” – bà Giang nói. Trong số hơn 400 khách hàng mua căn hộ tại dự án PetroVietnam Landmark có những khách hàng mua lại từ một công ty khác. Câu chuyện đòi tiền chủ đầu tư của những khách hàng này còn bi đát hơn. Bà B.A.K. (Q.2) mua căn hộ tại dự án PetroVietnam Landmark. Sáu năm nay, gia đình bà K. vẫn phải đi ở trọ, mỏi mòn chờ nhận nhà. Bà K. cho biết để mua nhà, bà phải vay ngân hàng 2 tỉ đồng. Trao đổi với Tuổi Trẻ, ông Lương Đình Thành cho biết công ty đã nhận được quyết định của tòa án và đang làm việc với tòa, không để công ty phá sản. Dự án PetroVietnam Landmark có tất cả 420 căn hộ đã bán hết cho khách hàng. Hiện dự án đã hoàn thiện phần thô và bàn giao cho khoảng 50 khách tiến hành sửa chữa. Dự kiến đầu năm 2018 cho khách vào ở.
Ông Thành cho hay do công ty đang làm thủ tục giám đốc thẩm, kháng án yêu cầu chỉ trả số tiền bà Giang đã đóng cho chủ đầu tư, không trả tiền lãi nên chưa thanh toán hết số tiền cho bà Giang. Công ty không mất khả năng thanh toán. “Chúng tôi sẽ thuê luật sư làm việc với tòa án, chứng minh khả năng trả nợ của công ty. Chủ trương là làm sao vẫn tồn tại để cố gắng giải quyết giao nhà cho khách hàng đã mua nhà” – ông Thành nói. Không chỉ dự án PetroVietnam Landmark, tại TP.HCM còn nhiều dự án ngưng trệ, khiến không ít người mua nhà phải điêu đứng. Như dự án Cao ốc Xanh (Q.9) của Công ty cổ phần đầu tư và xây dựng số 8 (CIC8) khởi công từ năm 2008 gồm ba block A, B, C.
Đến nay chỉ có block C được bàn giao, hai block 19 tầng còn lại ngưng thi công nhiều năm nay. Giữa năm 2016, chủ đầu tư tái khởi công, nhưng vừa cất nóc lại tiếp tục “trùm mền”. Chị Nguyễn Nữ Thanh Thảo đã bán nhà và vay 400 triệu đồng để mua căn hộ tại dự án Cao ốc Xanh. Theo hợp đồng, chủ đầu tư sẽ giao nhà vào tháng 9-2011. Cả nhà năm người ra thuê căn trọ nhỏ, “mơ” ngày nhận căn hộ rộng rãi, thoáng mát. Nghe thông tin khách hàng dự án PetroVietnam Landmark nộp đơn yêu cầu tòa án mở thủ tục phá sản, chị Thảo cho biết chị và nhóm khách hàng mua nhà dự án Cao ốc Xanh cũng đang tìm hiểu thủ tục pháp lý để “mạnh tay”, buộc chủ đầu tư sớm giao nhà. “Sáu, bảy năm nghe chủ đầu tư hứa tôi mệt mỏi lắm rồi. Giờ có giải pháp gì để chủ đầu tư nhanh chóng giao nhà hay trả tiền chúng tôi đều làm” – chị Thảo nói. Trong khi đó năm 2012, anh Trần Thanh Tâm (Q.Bình Thạnh) ký hợp đồng mua căn hộ tại dự án Happy Plaza (H.Bình Chánh) do DN Thanh Tùng làm chủ đầu tư. Lúc đó dự án đã xây phần khung đến tầng 4. Thời điểm mua, chủ đầu tư dự kiến quý 4-2013 giao nhà và đưa ra chính sách nếu người mua đóng vượt tiến độ sẽ hưởng chiết khấu cao, nên anh đóng 90% giá trị căn hộ. “Mỗi lần điện lên hỏi thì chủ đầu tư hứa sẽ khởi công giao nhà sớm, nhưng bốn năm rồi chưa xây nổi thêm tầng nào” – anh Tâm nói. Việc khách hàng nộp đơn yêu cầu tòa án mở thủ tục phá sản đối với chủ đầu tư dù còn hiếm, nhưng nhiều chuyên gia cho rằng đây là giải pháp cần thiết với các chủ đầu tư chây ì.
Luật sư Lê Cao (Đoàn luật sư TP Đà Nẵng) cho rằng việc mở thủ tục phá sản như với PVC Land có lợi cho các chủ nợ, tránh việc DN âm thầm tẩu tán hết tài sản. Với DN “yếu”, việc xử lý sớm may ra còn thu lại phần nào. Càng để DN tồn tại, lãi suất cộng dồn mỗi ngày, chủ nợ ngày càng thua thiệt. Luật sư Trần Thái Bình (đoàn luật sư TP.HCM) cũng đồng tình nên tính đến đề nghị cho DN phá sản nếu chây ì kéo dài. Đặc biệt, nếu như tại dự án PetroVietnam Landmark chủ đầu tư đã bàn giao 10 căn hộ thì khi kê biên tòa nhà phải chừa 10 căn hộ đó ra. Trao đổi với Tuổi Trẻ, một cán bộ Sở KH-ĐT TP.HCM cho biết sau khi mở thủ tục phá sản, DN vẫn hoạt động bình thường dưới sự giám sát của quản tài viên. Sở KH-ĐT sẽ công bố thông tin trên cổng thông tin đăng ký DN quốc gia nếu có yêu cầu của tòa án. Nhưng với vụ việc mở thủ tục tuyên bố phá sản của PVC Land, hiện Sở KH-ĐT TP.HCM chưa nhận được yêu cầu đăng thông tin của TAND TP.HCM. Để tránh “mắc kẹt” với những dự án chây ì, người mua cần tìm hiểu kỹ tình trạng pháp lý của dự án. Đặc biệt, nên xem dự án đó có thế chấp ngân hàng, có được ngân hàng bảo lãnh nghĩa vụ tài chính của chủ đầu tư đối với khách hàng hay không. Tuy nhiên, các cơ quan quản lý nhà nước cũng cần công bố công khai trên các trang web đầy đủ các dự án thế chấp ngân hàng, dự án được ngân hàng bảo lãnh… để người dân tra cứu, tìm hiểu. Ngoài ra, các cơ quan thi hành án nên công khai thông tin quyết định kê biên, ngăn chặn giao dịch đối với các dự án dạng này để người dân biết, tránh được rủi ro khi mua nhà. Cơ hội nào cho PVC Land? Theo Luật phá sản DN 2014, khi ra quyết định mở thủ tục phá sản, tòa án đồng thời kê biên luôn tài sản của DN để tránh tẩu tán tài sản. Lúc này, DN còn một “đường sống” là hội nghị các chủ nợ quyết định cho DN thời gian để cơ cấu lại hoạt động, cải thiện tình hình dưới sự giám sát của quản tài viên và thẩm phán. Nếu trong thời gian này DN phục hồi khả năng thanh toán, trên cơ sở ý kiến của hội nghị các chủ nợ, thẩm phán ra quyết định đình chỉ thủ tục phá sản. Còn hội nghị các chủ nợ không đồng ý cho DN thời gian khắc phục, tòa sẽ cùng với quản tài viên thanh lý tài sản của DN để trả nợ. “Having signature on the commercial invoice in respect of imported goods” is not a new requirement in the importation and custom clearance procedures. However, this requirement has caused difficulties to importers when they import goods in practice, as there are still a number of discrepancies between the laws of Vietnam and international practices, without any remedy. From the practical perspective, this regulation embarks a conflict with the common practice of making invoices by European countries in which all invoices are formed, retrieved electronically and without sellers’ signatures and seals in every single invoice. Annually, an automobile manufacturer can sell hundred thousands of products per year, the signing in each invoice is a hand work which makes time-squandering, human resource and increasing expenses. However, in order to complete the import procedure, enterprise must seek for ways to convince the manufacturers to provide their signature on invoices. This step has caused a lot of difficulties to enterprises because it is too hard for the manufacturers to change their goods trading management method contrary to the ordinary method in their home country. As a result, the completion of custom clearance of enterprises is often delayed for months from the scheduled business plan, which causes a lost in term of in business opportunity and cost burden to enterprises. In addition, the fact that the requirement on provision of invoice is still retained which is not caught up with the principle of Article 3.6(b) of Resolution 30c/NQ-CP enhancing the “application of information – telecommunication technology in the process of handling of works of administrative authorities, among administrative authorities and within transactions with organizations and individuals”. Vietnam Customs authorities has been a member of WCO as of 01 July 1993 and entered into Kyoto Convention on the Simplification and Harmonization of Customs Procedures. After many renovations to adapt WCO’s objectives and policies, Vietnam Customs procedures have been modernized and reduced significantly yet not abrogated the requirements on signatures affixed to invoices due to existing “barriers” in Decree 51. The main purpose for presentation of commercial invoices in customs procedures is to make a basis for determining customs values of the goods, goods origin and tax amounts imposed on goods at the time of import. In the Internet age, the authenticity of invoices can be checked by various methods. Therefore, we should learn a feasible way of other countries to check manufacturers’ database to conclude the accuracy of total value of goods rather than request them to sign in each of invoices. Customs Authorities can request the manufacture to send the detailed information of imported goods for checking, or confirm the accuracy and completeness of such invoices. From the author’s perspective, by taking advantage of the internet tool, the checking and verifying the accuracy of commercial bills will easier and more efficient. “Hanoi Stock Exchange (HNX) has developed the action plans for sorting stocks on the unlisted public company market (UPCoM), including selection of the best stocks break down by criteria such as size of the business, production and business situation – financial, situation governance, liquidity, etc., to put on the UPCoM premium list which is aimed towards adoption of open policy for good business groups,” adds Duc. Dr. Net Le, Partners of LNT & Partner together with many representatives from other law firms had a great conversation on how to manage a law firm effectively in “Law firm management workshop”, took place on last Friday at Grand Hotel. Để “câu khách”, chủ đầu tư không ngần ngại vẽ ra hàng loạt tiện ích kèm theo tại dự án của mình như trường học, công viên, hồ bơi…. Tuy nhiên, tới khi bàn giao dự án, suốt nhiều năm khách hàng vẫn chỉ nhận được những tiện ích trên… giấy. Một số khu vực thể dục thể thao, công viên tại khu dân cư Nam Long (Q.9) chưa được quan tâm triển khai hoàn thiện. Tại chung cư The Easter city (H.Bình Chánh) tranh chấp, kiện tụng liên quan đến việc chủ đầu tư “lật kèo” tiện ích hồ bơi. Theo cư dân, khi bán hàng, nhân viên tư vấn nói rõ chung cư có hồ bơi nhưng đến nay họ nhận nhà vào ở gần một năm, hồ bơi chỉ là khu đất trống. Cũng liên quan đến hồ bơi, tại dự án chung cư HQC Plaza (H.Bình Chánh, TP.HCM) do CTCP Tư vấn Thương mại Dịch vụ Địa ốc Hoàng Quân làm chủ đầu tư, cư dân vẫn chưa hết bức xúc khi biết mình bị lừa. Cư dân cho biết, trước đây khi bán căn hộ, chủ đầu tư vẽ rất nhiều tiện ích như công viên, hồ bơi, sân tập thể thao… lúc nhận nhà, hầu hết các hạng mục đều thi công. Tuy nhiên, vào ở một thời gian, họ “té ngửa” khi phát hiện hồ bơi… không dùng để bơi. Lý do, mới đây chủ đầu tư đã gửi văn bản xin ý kiến cư dân để điều chỉnh cục bộ quy hoạch dự án. Trong đó, Hoàng Quân cho biết sẽ bố trí một hồ cảnh quan ở công viên trung tâm dự án để tăng mỹ quan và điều hòa khí hậu. Đồng nghĩa với việc hồ bơi sẽ chính thức biến thành hồ cảnh quan. Tại Khu Đô thị Dịch vụ Thương mại Nam Long, P.Tân Thuận Đông, Q.7, TP.HCM do CTCP Nam Long làm chủ đầu tư, dự án đưa vào sử dụng đã hơn 10 năm nhưng đến nay các tiện ích đi kèm như: Trường học, công viên, siêu thị… vẫn chỉ trên giấy. Một dự án khác của Nam Long dự án Ehome 2, P.Phước Long B, Q.9, trong quy hoạch chi tiết, các khu vực xây dựng công trình tiện ích đều đẹp nhưng thực tế thì trong tình trạng bỏ trống. Theo ghi nhận của Báo Người Tiêu Dùng, hiện nay các căn hộ đã được Nam Long bàn giao cho cư dân nhưng trường học, công viên… vẫn là bãi đất hoang. Sân thể dục thể thao dùng để chứa vật liệu xây dựng. Khu vực công viên, một phần làm lều trại cho công nhân, một phần nuôi cỏ cho bò gặm. Luật sư Trần Thái Bình, Công ty Luật LNT & Partners – Đoàn luật sư TP.HCM cho biết, theo quy định, chủ đầu tư chỉ được phép bàn giao khi đã hoàn thành xong việc xây dựng nhà, công trình xây dựng và các công trình hạ tầng kỹ thuật, hạ tầng xã hội theo tiến độ ghi trong dự án đã được phê duyệt. Như vậy, tại thời điểm bàn giao nhà, các hạng mục hồ bơi, công viên… là công trình hạ tầng xã hội của dự án phát triển nhà ở cũng đã phải hoàn thành. Luật cũng quy định chủ đầu tư thực hiện bàn giao nhà ở cho người sử dụng chỉ sau khi đã hoàn thành nghiệm thu đưa công trình nhà ở và các công trình hạ tầng xã hội phục vụ nhu cầu ở nêu trong nội dung dự án được phê duyệt vào sử dụng theo quy định của pháp luật về xây dựng. Lý do của quy định này là xét cho cùng, mục đích cuối cùng của nhà ở là phải ở được, nếu chỉ giao cái nhà, mà hạ tầng xung quanh chưa xong thì cũng đã hạn chế quyền sử dụng của người mua, và chưa đạt được mục tiêu chính của căn nhà là để ở .
Theo Luật sư Trần Thái Bình, trường hợp chủ đầu tư không hoàn thành các hạng mục hạ tầng xã hội như dự án đã được phê duyệt, chủ đầu tư có thể sẽ phải chịu phạt tiền từ 80-100 triệu đồng do không đầu tư xây dựng đồng bộ cơ sở hạ tầng xã hội và hạ tầng kỹ thuật theo dự án đã được phê duyệt. Nếu chủ đầu tư không hoàn thành các hạng mục công trình công cộng (hạ tầng xã hội), thuộc phần sở hữu chung (được quy định theo Luật Nhà ở) và trong hợp đồng mua bán, thuê mua thì người mua nhà được quyền yêu cầu chủ đầu tư bàn giao theo đúng thời hạn, chất lượng và các điều kiện khác đã thỏa thuận trong hợp đồng, bao gồm các hạng mục chưa hoàn thành. Nếu phát sinh thiệt hại, người mua có quyền yêu cầu chủ đầu tư bồi thường thiệt hại phát sinh từ việc chưa hoàn thành, nghiệm thu các công trình hạ tầng xã hội thuộc sở hữu chung của người mua. Người mua có quyền tố cáo, khiếu nại, khởi kiện các hành vi vi phạm pháp luật về nhà ở của chủ đầu tư. Theo đó, người mua có thể tố cáo chủ đầu tư vi phạm quy định không đầu tư xây dựng đồng bộ cơ sở hạ tầng xã hội và vi phạm các nghĩa vụ bàn giao nhà và nghiệm thu đưa công trình hạ tầng xã hội nêu trên tại Sở Xây dựng cấp tỉnh, thành phố. Luật sư Trần Thái Bình đưa ra lời khuyên, trước khi ký kết hợp đồng mua bán nhà, người mua cần phải xem xét kỹ các điều khoản về các hạng mục, công trình thuộc phần sở hữu chung, yêu cầu bồi thường thiệt hại, biện pháp chế tài trong trường hợp chủ đầu tư chưa hoàn thành các công trình công cộng. Ngoài ra, người mua nên yêu cầu chủ đầu tư cung cấp tài liệu quy hoạch, thiết kế dự án được phê duyệt nhằm biết được các công trình công cộng cụ thể mà chủ đầu tư đã cam kết thực hiện và theo dõi tiến độ thực hiện các công trình nêu trên.